Shawshank The Ghost Producer | Let's Work! Following numerous reports, Jay Z and Beyoncé officially announced their joint today. 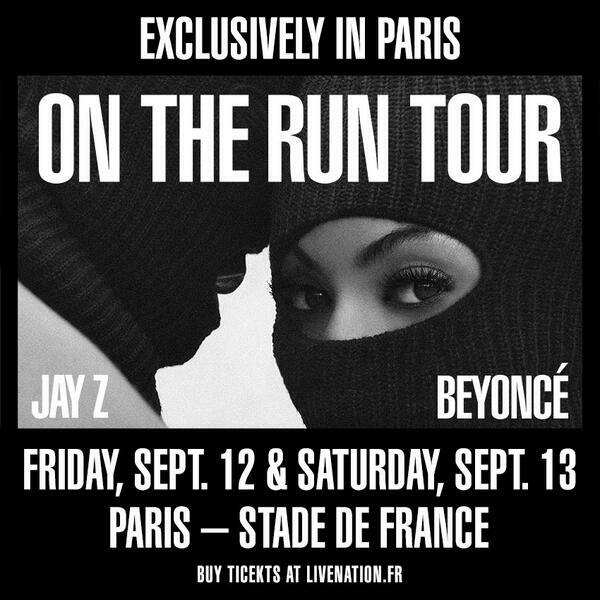 Dubbed “On The Run” after their collaboration on Jay Z’ album Magna Carta Holy Grail, the run consisting 16 dates. It begins June 25th in Miami and ends on August 5th. Pre-sale begins April 29th at 10:00 AM with general sale beginning May 2nd. Pee the schedule below. Update: The couple added two exclusive shows in Paris on September 12th and 13th to their tour. Aug 5th – San Francisco, CA AT&T Park.